An engagement occurred near Avdiyivka. 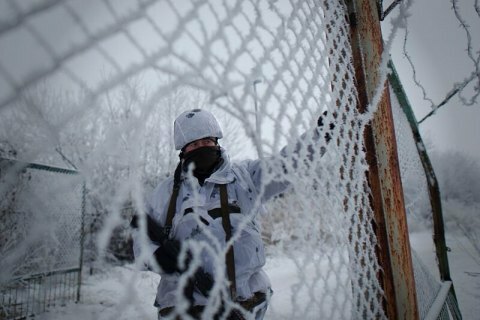 Three servicemen of the Ukrainian Armed Forces have been wounded in the antiterrorist operation (ATO) area in Donbas on 7 January, the ATO HQ press centre said in its evening update. Since the start of the day, Ukrainian army positions have come under fire on 32 occasions. There was an engagement near Avdiyivka. "The attack was repelled, the enemy retreated," the HQ said. In the Donetsk sector, the occupiers fired on Troyitske with 82-mm mortars and an infantry fighting vehicle gun and on Piskym Avdiyivka and Luhanske with grenade launchers and small arms. In the Mariupol sector, the occupiers fired with 122-mm artillery on Vodyane and with mortars on Pavlopil and Talakivka. Grenade launchers, heavy machine guns and small arms were used against Pavlopil, Maryinka, Hnutove, Starohnativka, Vodyane, Talakivka and Shyrokyne. In the Luhansk sector, the militants targeted Troyitske with mortars of various calibres and Novooleksandrivka and Novozvanivka with grenade launchers and small arms. As reported earlier, two servicemen were wounded in the ATO area on 6 January.